It's a new era at the Center for Practical Bioethics with a new president and chief executive officer. John G. Carney succeeded the Center's founding executive, Myra Christopher, in late 2011. 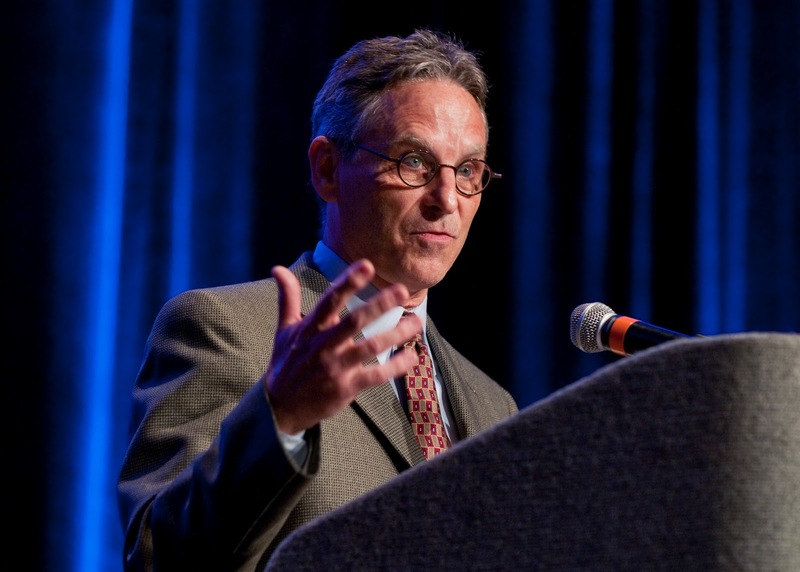 In his first public appearance as the new CEO, Carney spoke about his philosophy and his plans before some 600 people at the Center's annual dinner April 19, 2012 in Kansas City. He is introduced by Cynthia Spaeth, the Center's board chair. Religion and Medicine: A Good Mix?